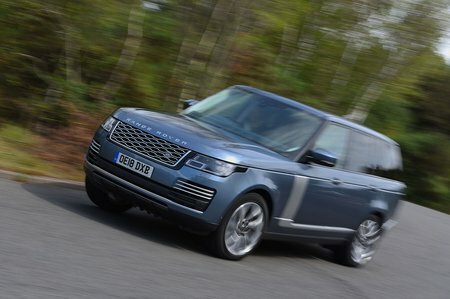 Land Rover Range Rover 2.0 P400e SVAutobiography LWB 4dr Auto 2019 Review | What Car? What Car? will save you at least £5,966, but our approved dealers could save you even more. The P400e mixes a 296bhp 2.0-litre petrol engine with a 114bhp electric motor and battery pack. It has CO2 emissions of 64g/km, plus an official fuel economy of 101mpg, although we doubt this figure will be anywhere close to this in the real world. With 31 miles of pure-electric range, it’s also the quietest model in the range – well, at least around town. Once the battery is depleted, the 2.0-litre engine kicks into life and emits an unconvincing four-cylinder drone – not what you expect from a luxurious SUV.